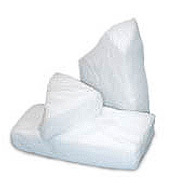 Available in sliced or pellet format, dry ice is available in custom sizes and packaged to customer specifications. 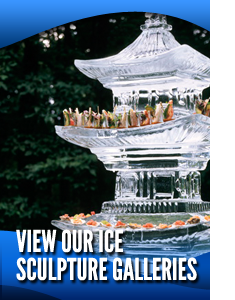 Dry ice is available in increments of 5lb + 50lb, and used primarily in frozen food applications. 1/8″ diameter dry ice pellets. For use in dry ice blast cleaning systems. 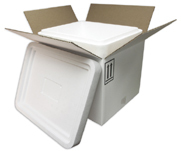 Each container consists of a corrugated exterior with a foam insert. Insulated shipping containers are available in 3 sizes. on a face, Mistystix are the last touch that will increase the allure of the drinks you serve. example 300sticks order/10 =30lbs of dry ice. Do not allow dry ice to touch bare skin. Dry Ice will sublimate into carbon dioxide (CO2) gas. Store dry ice in an insulated container – the better the insulation, the slower the dry ice sublimation. Do not store dry ice in a refrigerator or a freezer (unless the dry ice is being used to maintain the proper temperature). 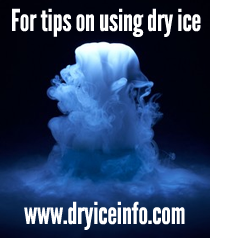 Do not store dry ice in an airtight container; never store in a glass container. The sublimation of dry ice into carbon dioxide gas will cause an airtight container to expand, rupture or burst. Always store dry ice in a well ventilated area. Avoid storing dry ice in unventilated rooms, cellars, autos or boat holds. The sublimated carbon dioxide gas will sink to low areas and replace oxygenated air. Carbon dioxide gas at elevated concentrations may be fatal when inhaled. Dry ice will damage certain materials with direct contact. Air is composed of 78% nitrogen, 21% oxygen and only 0.035% carbon dioxide (CO2). If the concentration of CO2 in the air rises above 0.5%, it can become dangerous. Lower concentrations – i.e. below 0.5% – can cause accelerated, labored breathing and headache. If dry ice has been in a closed auto, van, room or walk-in refrigerator for more than 10 minutes, open doors and allow adequate ventilation before entering. Leave the area immediately if breathing becomes difficult, dizziness, headache, or a light-headed feeling is noticed. Carbon dioxide (CO2) is heavier than air and will accumulate in low spaces. Do not enter closed dry ice storage areas without first fully ventilating the space. 4.Make sure to follow all dry ice safe handling precautions.